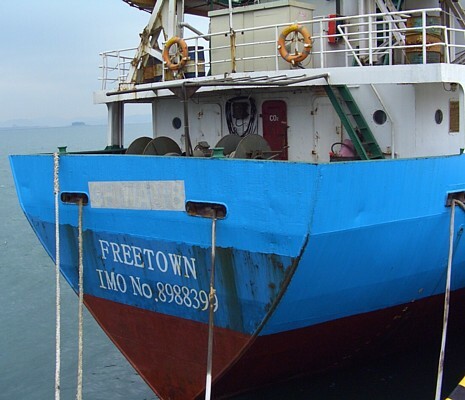 The owner of a Vietnamese ship, which was seized in the Philippines with 2,900 tons of suspected smuggled rice, has admitted the vessel was not licensed to import rice into the country. 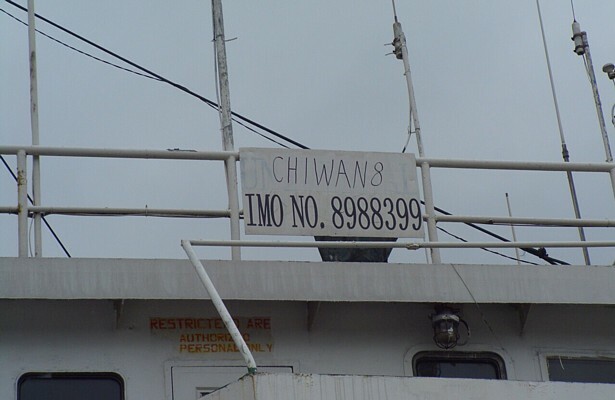 On Monday (February 23), the Philippine military forces held the ship named MV An Bien 89-ALCI with 116,000 sacks of rice in waters off Pata Island in Sulu, according to media reports. 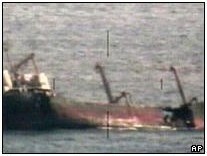 The ship was carrying 16 Vietnamese crew members, including its captain Nguyen Van Loi. Each sack of rice weighed 25 kilograms, the reports said. 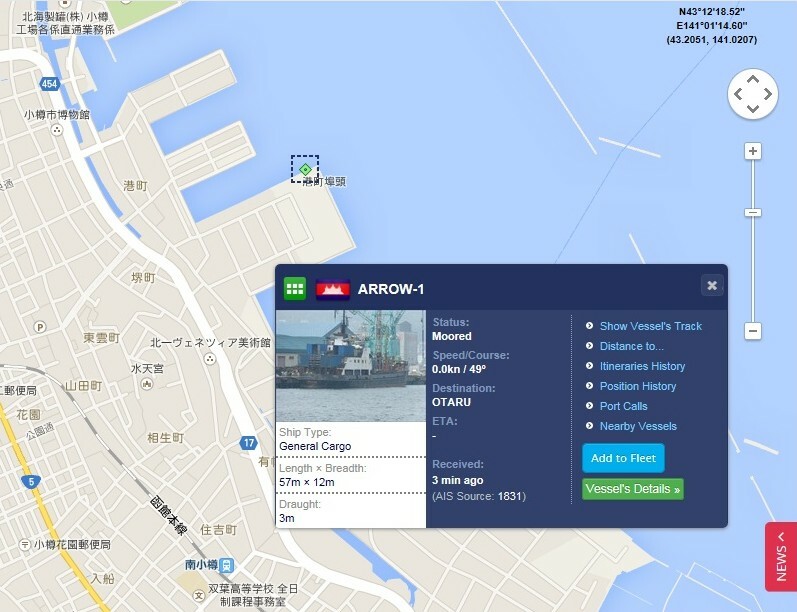 Thanh Nien has found that the ship belongs to Agribank Financial Leasing Company No. 1 (ALCI), a subsidiary of the state-owned Vietnam Bank for Agriculture and Rural Development (Agribank). On April 1, 2014, it was leased to a Hai Phong City-based transport company named TTC Hai Phong. 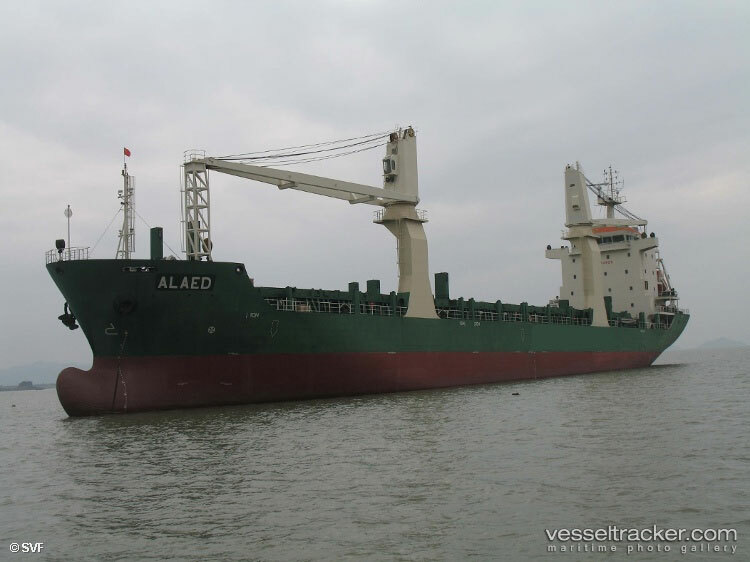 Nguyen Hong Long, ALCI’s general director, said the ship was not licensed to import rice into the Philippines, although it has been allowed to provide maritime transport services. 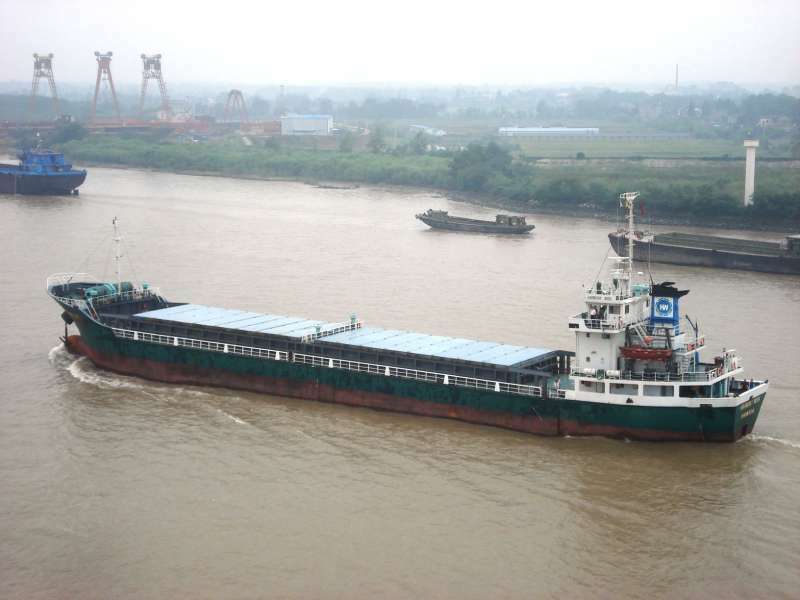 Do Ngoc Binh, director of TTC Hai Phong, told Thanh Nien the ship was transporting rice from Vietnam’s An Giang Province to the Philippines under a contract with a partner. He refused to reveal the name of the partner. Binh said his company has all legal papers regarding the transport of the rice, and the owner of the batch will be responsible for explaining the legitimacy of the rice. Iran, which is facing ever increasing international sanctions over its nuclear development programme, has been packing its bags and moving its fleet of oil tankers and container ships out of the Maltese shipping register where they once hid to an even smaller island – the South Pacific island of Tuvalu. No less than 75 Iranian-owned oil tankers and container ships, which the West insists are linked to the Iranian government and its nuclear development programme, have recently been moved to the maritime flags of Tuvalu, Tanzania, Sierra Leone, Bolivia and Moldova as sanctions against the rogue state increase. According to a 12 July US Office of Foreign Assets Control (OFAC) list of ships linked to the sanctioned National Iranian Tanker Company (NITC), only 12 oil tankers Iran once registered under the Maltese flag remained on the Maltese shipping registry as of last month, The Malta Independent on Sunday has determined. Twenty-four have been re-registered in Tuvalu and 12 more have been reflagged by Tanzania. The remaining 12 tankers will no doubt also be reflagged elsewhere in the near future. A statement issued by the NITC has confirmed that the mass exodus from the Maltese shipping registry was clearly aimed at circumventing United Nations and European Union sanctions that Malta is bound to uphold – at a significant cost to the coffers of the country’s shipping registry, which collects handsome fees from ships flying the Maltese flag. Almost 36 IRISL ships have also recently been transferred from the Maltese to the Tuvaluan shipping registry. On 1 July, the European Union implemented a ban on the import of Iranian oil. Weeks earlier, NITC had begun pre-emptively reflagging its ships away from Malta and Cyprus, where they had previously sought refuge in a web of shell companies that has since been unravelled. But despite the ship transfers, the NITC insists there is nothing illegal about its operations and that it is not an entity of the Iranian government, a point hotly disputed by Brussels and Washington DC. NITC, formerly an Iranian state enterprise, which has described itself as privatised since 2000, initially reflagged its oil tankers from Iran to Malta and Cyprus around 2008. That was the time the US blacklisted Iran’s state-owned merchant fleet, the Islamic Republic of Iran Shipping Lines, but spared NITC. In response to those sanctions, IRISL embarked on a global game of cat and mouse in which scores of IRISL-linked ships blacklisted by the US and later by the EU, have been reflagged and renamed in Malta and elsewhere, and in some cases multiple times, with ownership transferred to opaque shell companies. The OFAC also lists another 39 container ships and oil tankers that have changed their shipping flags, and names, of late from the Maltese flag to the flags of Moldova, Tanzania, Bolivia and Sierra Leone. Almost all of these ships − 32 of 39 − are owned by the Iranian state-owned Islamic Republic of Iran Shipping Lines. Out of these 75 ships, the island of Tuvalu has reaped the greatest benefits, having taken on at least 24 of Iranian ships from the Maltese register. Some 2,000 miles northeast of Australia, the country’s population stands at just over 10,000 and its annual gross domestic product is roughly €35 million. Much like Iran had operated in Malta, Iran’s new base in Tuvalu consists of a handful of new nominal corporate owners holding one tanker each and sharing a post office box address in Vaiaku. In addition to the transfers to Tuvalu, 21 more ships were transferred to Tanzania, which has said it was looking into the reflagging some NITC tankers to its flag. Three more were transferred to the Bolivian flag, 15 to Sierra Leone, eight to Moldova, three were transferred to the Iranian flag, and one was transferred to the Barbados registry. As of morning June 20, still no trace of m/v Alaed, and no confirmed news on vessel’s latest movements, but most probably, vessel turned back, as Britain's Foreign Secretary said on Tuesday. 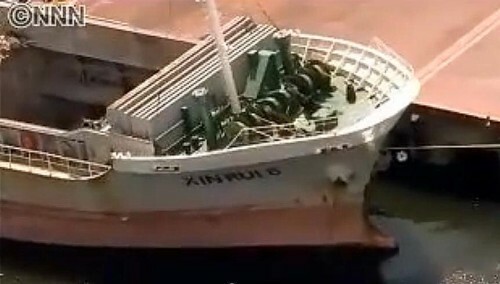 Today may be decisive for the whole story, as now decisions are made by Russian authorities, not by ship owner, (who's a pawn actually, in this situation) and maybe Russian authorities will be sensible enough to step back and return vessel under the pretext of insurance withdrawal, or just without any pretext, as long as Russia doesn't officially recognize Alaed incident as related to Russia. Legally Russia may send to Syria whatever she wants, but Western countries vowed to ban arms coming to Syria, and both parties are adamant in pursuing their will, so situation actually, may lead to a serious conflict. If Western navies try to intercept the vessel even just for checking cargo, it will be the violation of the international law, because Russia is not bound to any sanctions against Bassar al Assad regime. The Alaed incident then, revealed a serious flaw in international laws, when a State may act against the will and intentions of nearly all international community, but stay legal, nevertheless. It’s not for Russia to complain on illegal hampering Russia’s trade and on double standards Western countries practice, because, just for one reason, the legitimacy of Russia’s ruling regime is dubious to say the least, but still, any action against m/v Alaed is a violation of international laws and Russia’s rights. I’m thrilled when I read Western or Russian media articles on Russia’s interests in Syria, or Iran, or anywhere else, I found them very funny. More often, than not (in most cases, if you ask me), the things they call Russian interests are a far cry from real interests of the nation, and Russian authorities make decisions with very serious consequences, inspired not by true needs, but by petty corporate or individual interests. One example. 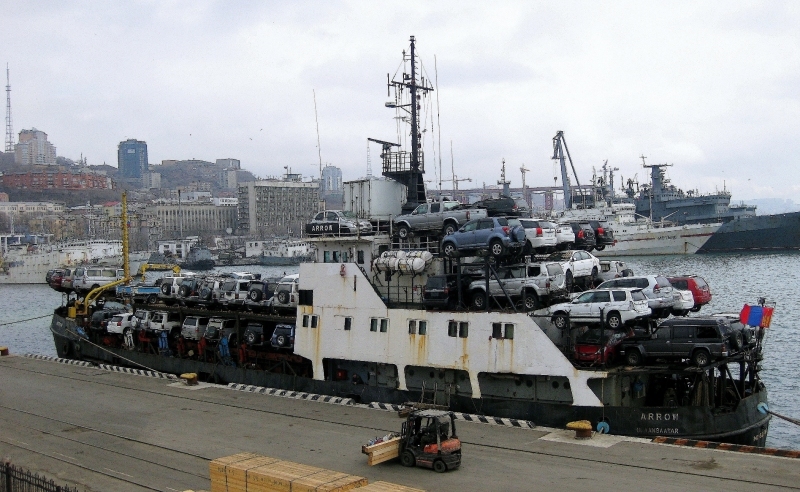 Several years ago Russian Customs implemented a new regulation, demanding all the scrap collected in Russian Far East ports for export, to be transported to Petropavlovsk-Kamchatskiy port for a clearing. 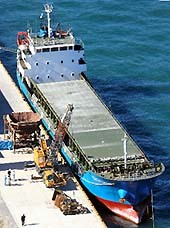 Petropavlovsk was made the only Far East port authorized for scrap customs clearing. There are three port in Russian Far East connected by rail with the rest of the country and capable of accumulating scrap from vast territories of Far East and Siberia, these ports are Vladivostok, Nakhodka (Vostochniy) and Vanino. Naturally, they were the only ports to handle export scrap. Petropavlovsk-Kamchatskiy is four thousand miles away. 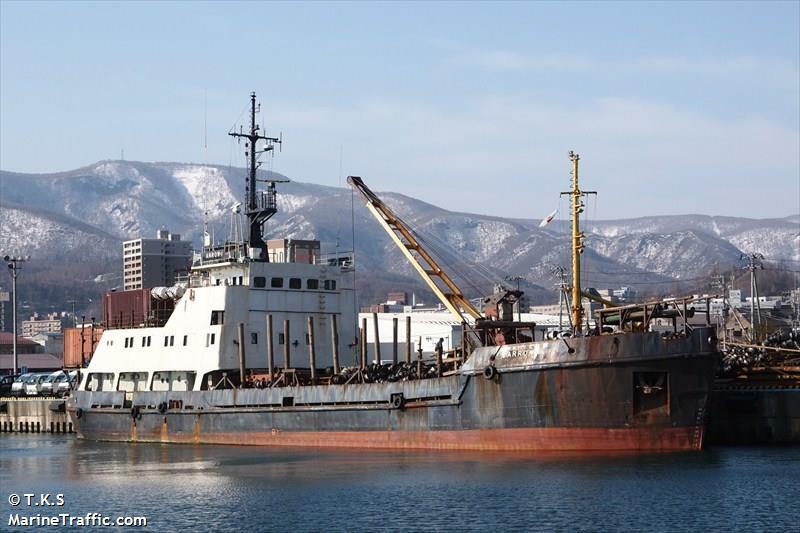 Scrap has to be carried to Petropavlovsk, has to be offloaded from vessels, and then loaded again as “cleared” and ready for export. All the scrap goes to China, Korea and Japan. Russian authorities added extra 8 thousand miles to export routes. Why? Because there is only one Steel Mill in Russian Far East, in Komsomolsk-on-Amur, and that Mill (AmurStal) produces steel only from scrap, it was built in Soviet era as such, as the main processor of Siberian scrap. AmurStal can’t pay the prices Asian neighbours offer, and the Mill was in a chronic state of crisis. Stocks of AmurStal were bought by an individual, close to Putin. That person worked out a plan to make scrap export non-profitable, and pushed a new regulation, which actually, is an economic sabotage of national proportions. 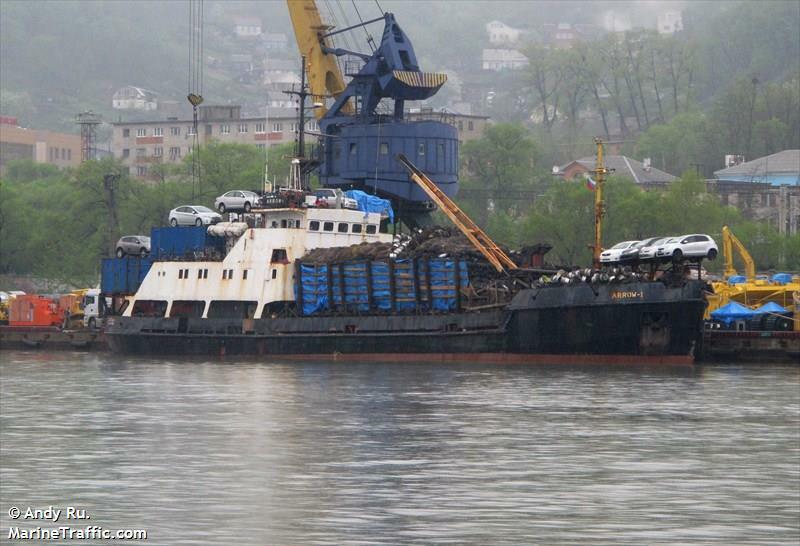 Scrap is one of the main export items of Russian Far East ports and ship owners, and the whole business was badly damaged. I wrote an article then, published by one of the leading Russian opposite periodicals, Novaya Gazeta, but to no avail, and scrap still has to be cleared through Petropavlovsk. So much for the interests of Mother Russia. The same “national interests” may stay behind Russian stubborn support of Assad regime in Syria. Maybe there are person or persons with vast personal interests in arms trading or something else, and the fall of Assad will be a big financial loss for some people in high places. Even Kremlin and Government insiders more often, than not, find themselves at a loss, when trying to explain this or that Russian political move or law making. Russia lacks a mechanism which secures the pursuit of long-term national interests, making the policy transparent and politicians responsible, and is ruled by a bunch of minions concerned with their personal profit and power. Russian freight ship intercepted by UK, On grounds of not having insurance for the cargo, with apparently US involvement, supposedly carrying weapons off the coast of Scotland, supposedly bound for Syria.. Russia has not yet responded to confirm or deny allegations. In a statement, the FCO said: “We are aware of a ship carrying a consignment of refurbished Russian-made attack helicopters heading to Syria. Turkey has intercepted a vessel in the Mediterranean suspected of carrying weapons and ammunition to Syria, a diplomatic source told AFP on Wednesday. The Antigua and Barbuda flagged Atlantic Cruiser which anchored off the coast of Iskenderun port Wednesday morning belongs to a German company, AFP noted, adding that the search of its cargo was delayed until Thursday morning due to stormy weather. Earlier this week, the German shipping firm denied allegations that its vessel was carrying Iranian arms to Syria, violating EU sanctions against the Damascus regime. The German news weekly Der Spiegel had reported that the Atlantic Cruiser, owned by German company Bockstiegel but chartered by a Ukrainian firm, had been stopped on the high seas with Iranian weapons on board. Bockstiegel said they had no indication that the cargo included arms or ammunition, and the Ukrainian company that chartered the ship also said that the cargo contained no weapons, but legal goods for civilian use. AFP quoted a statement by Bockstiegel, released late on Wednesday, which said that the Atlantic Cruiser entered the port of Iskenderun "unsolicited and as agreed" with German and Turkish authorities. Turkey has imposed sanctions on Damascus, due to President Bashar Assad’s violent crackdown on anti-regime protesters. The sanctions include interception of arms shipments there by air, land and sea. NICOSIA, Jan 11 (Reuters) - Authorities in Cyprus have intercepted a cargo of ammunition bound for Syria for checks, media on the island said on Wednesday. A vessel carrying the cargo stopped for refuelling at a port in Limassol where the cargo was intercepted, Cyprus's Politis newspaper reported. The ship was carrying 60 tonnes of ammunition and had been sailing to the port of Latakia in Syria from St. Petersburg in Russia, the newspaper reported. Another newspaper, Simerini, said initial reports suggested the vessel was carrying 35 tonnes of explosives, weapons and munitions. Cypriot officials were not immediately available for comment. State radio reported the vessel would be allowed to sail and said authorities were planning to issue a statement. 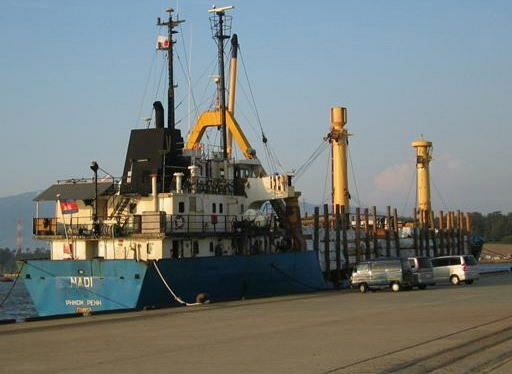 In 2009, Cyprus confiscated munitions from a ship sailing to Syria from Iran for violating UN sanctions. The deteriorating cargo, stored in scorching temperatures close to Cyprus largest power station, exploded in July last year killing 13 people and destroying the facility. JOHOR BARU: The Southern Malaysian Maritime Enforcement Agency (APMM) detained two tankers for illegally transferring 300,000 litres of marine gas oil (MGO) at Tanjung Piai here. Southern region commander Laksamana Pertama Zulkifli Abu Bakar said a patrol boat spotted the vessels about three nautical miles south-east of Tanjung Piai on Thurs­day. “We saw the vessels close to each other at around 4.45am and found that they were conducting an illegal ship-to-ship oil transfer,” he said. 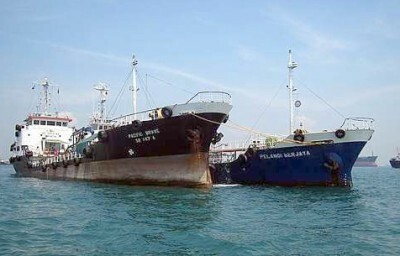 On troubled waters: The two vessels which were caught for illegally transferring oil off Tanjung Piai by maritime authorities on Thursday. He added that further investigations revealed that both ships did not have proper documentation or permits. “The crew members — 16 Indonesians, a Myanmar man and a local crewman, all aged between 22 and 57, on board were also detained for further investigations,” he said. Zulkifli said that one ship was registered in Singapore while the other in Port Klang. “The offence is classified under section 491(1)(k) of the Merchant Shipping Ordinance (MSO) 1952,” he said, adding that if found guilty, they could face a fine of not more than RM100,000, or a jail term of up to two years, or both. 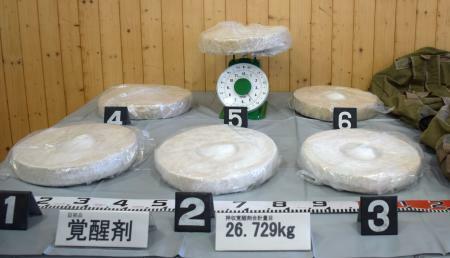 SAPPORO (Kyodo) -- Police in Hokkaido have arrested a Japanese and two Chinese men on suspicion of smuggling into Japan about 5 kilograms of stimulant drugs via the port of Muroran, investigative sources said Monday. 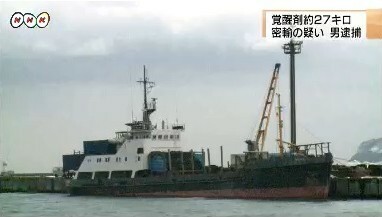 Hitoshi Takeda, a 38-year-old unemployed man from Chiba Prefecture, is suspected of receiving a bag containing the narcotics with a street value of 450 million yen from the two Chinese, who were among the crew members of the Sun Honor, a Singaporean-registered freighter, on Nov. 30, the sources said. 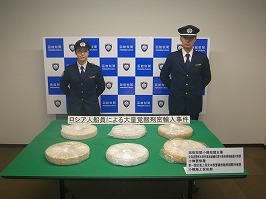 The arrests were made after Japanese customs officials spotted the two Chinese men entering a restroom in the port with a bag and leaving without it, then Takeda emerging carrying it. 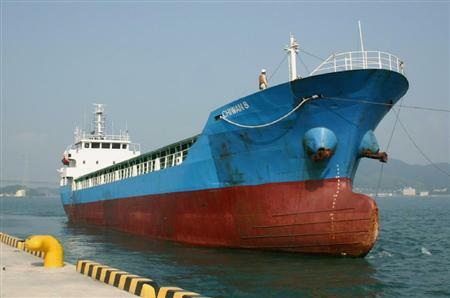 The 1,520-ton freighter, loaded with minerals, arrived in the port from Hong Kong on Nov. 27. 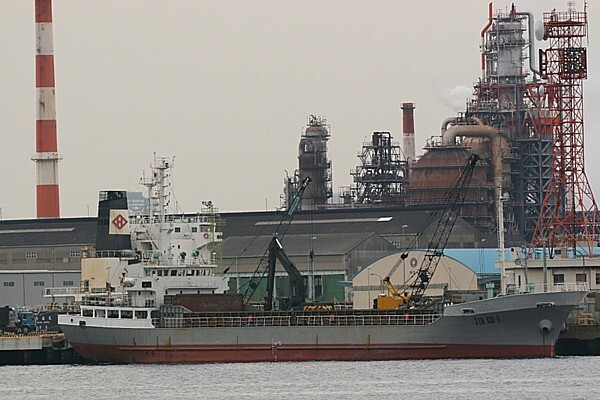 Photo shows the Singaporean-registered freighter Sun Honor docked in Muroran, Hokkaido, on Dec. 2, 2010. 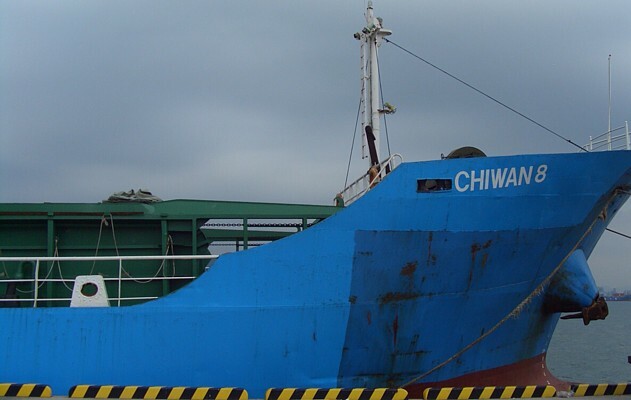 Police said on Dec. 6 they have arrested two Chinese crew members of the ship and a Japanese man on suspicion of smuggling some 5 kilograms of illegal stimulants into Japan. 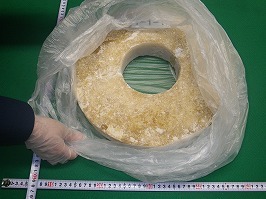 KOCHI - Three Chinese men were arrested Sunday on suspicion of attempting to pick up four bags containing a combined 120 kilograms of an illegal stimulant with an estimated street value of 12 billion yen in a fishing port in Kochi Prefecture, police said. 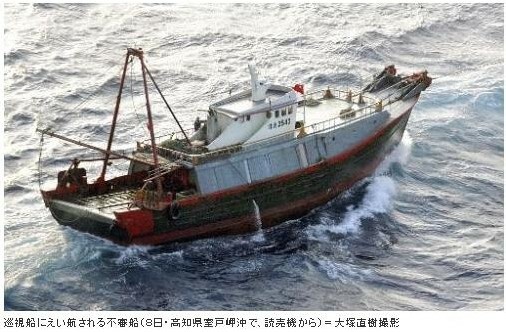 In addition, a local Japan Coast Guard office said it had apprehended six Chinese crew members of a fishing boat for not obeying a Coast Guard order to stop in nearby waters. 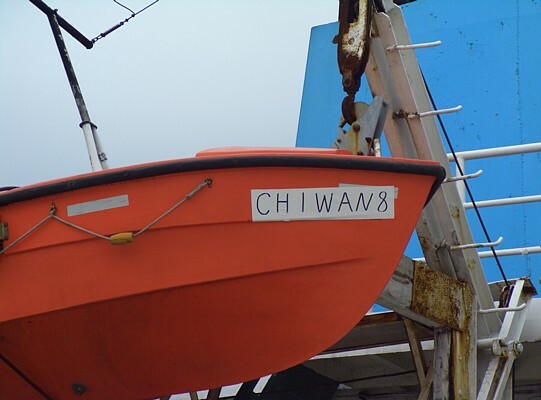 Police suspect the boat may have transported the stimulants. 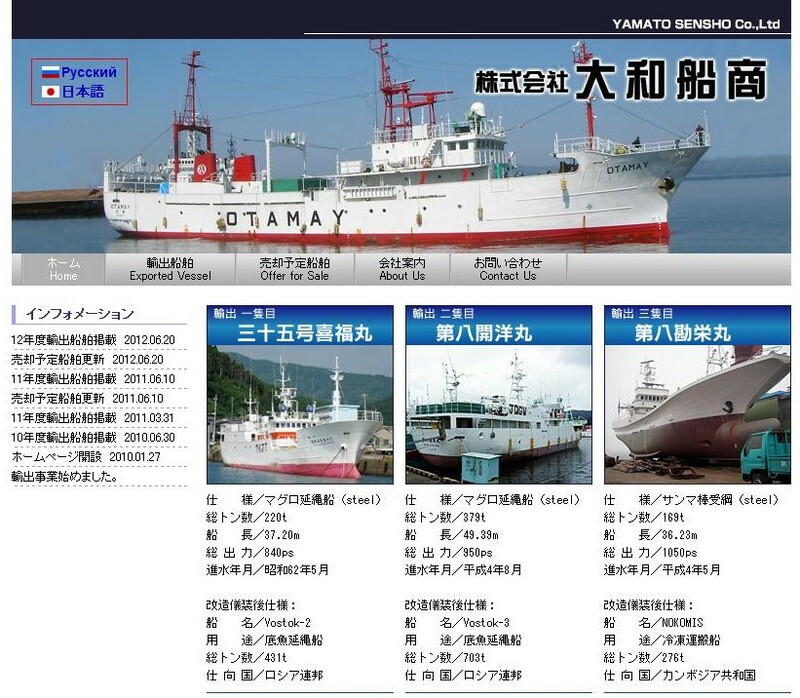 The four bags were found Saturday in the port in Muroto after a Japan Coast Guard airplane had spotted the suspicious boat off Cape Muroto earlier in the day, according to prefectural police and a regional Coast Guard office. 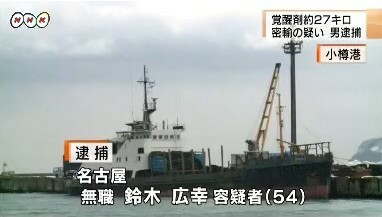 They said the plane spotted the boat about 90 kilometers southeast of the cape at around 4 p.m. Saturday and informed the Kochi Coast Guard office, which then notified Kochi prefectural police at about 9:30 p.m.
About an hour later, police officers who were patrolling the port area found the bags, each of which contained about 30 kg of white powder, on a dike at the port. A police test on one of the bags confirmed it contained a stimulant and they believe the other three contain the same substance. Police also received a report that several men had left the port by car around the same time. 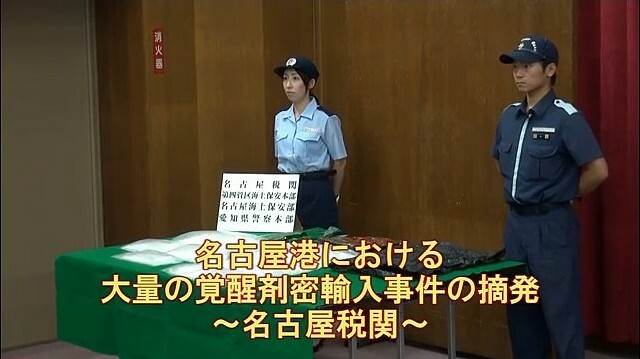 Two men in the car were later located in neighboring Tokushima Prefecture and a third man was apprehended near the site where the bags were discovered, leading the police to arrest the three—all Chinese in their 30s—on suspicion of violating the drug control law. The boat’s 47-year-old captain and five crew members were apprehended for seeking to avoid a Coast Guard inspection in violation of the fisheries law. A North Korean cargo ship that was used to smuggle heroin into Australia has been sunk by an Australian fighter jet. 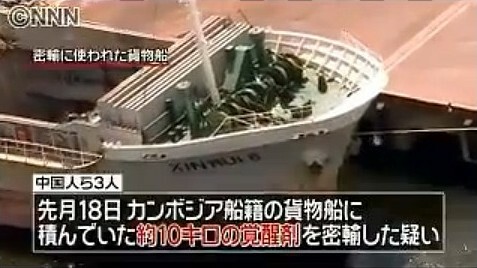 An F-111 aircraft bombed the Pong Su during target practice on Thursday at a secret location offshore, police said. 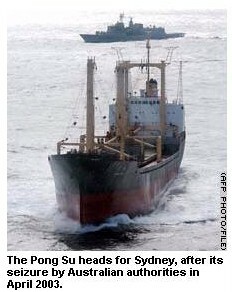 Australian troops seized the ship in 2003 after spotting it unloading part of a huge heroin shipment at a beach. The Australian government said the bombing was a warning to North Korea to halt its involvement in drug smuggling - an allegation Pyongyang rejects. "It is appropriate that we publicly demonstrate our outrage at what has happened by sinking this ship," Foreign Minister Alexander Downer said. "We are concerned about possible links between the North Korean ship and the North Korean government." The Pong Su's cargo of heroin, worth about US$115 million (£66 million), would have provided four million hits of the drug on Australian streets, Mr Downer said. Earlier this month, an Australian jury cleared the captain of the Pong Su and three officers of involvement in an international drug ring. But four crew members who were involved in transporting the heroin from ship to shore pleaded guilty to drug charges. Two have been sentenced to 22 and 23 years in prison and the other two are awaiting sentence. 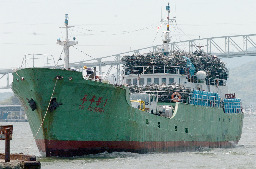 The 3,500-tonne Pong Su was used to smuggle in more than 125 kilograms of heroin. It had anchored off the town of Lorne in Victoria state while the cargo was carried ashore by dinghy. 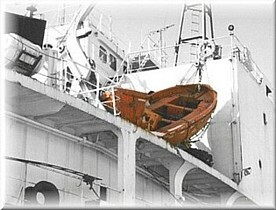 It was seized in April 2003 after a four-day chase by the Australian navy. Earlier this week, the freighter was towed out of Sydney Harbour to a location 140km (90 miles) off the coast of eastern Australia, the Australian Federal Police said. The fighter jet then dropped the bomb that sank the ship, the police added. Although North Korea has denied any link to the smuggling operation, Mr Downer said it was hard to imagine a shipping company acting on its own in Pyongyang's Stalinist-style economy. "I mean this isn't, after all, a private sector economy where private companies are doing things on their own accord," Mr Downer said. "North Korea has been involved in illicit drug trade, North Korea has been involved in illicit financial dealings, and North Korea has been involved in the illicit trade in WMD (weapons of mass destruction) technology over quite some years," he added. Australia and the United States have said the case of the Pong Su strengthens their suspicions that Pyongyang deals in drugs to help support its failing economy. VICTORIA'S biggest heroin importation could not be "pinned" on the North Korean Government after the acquittal of four senior crew members of the freighter Pong Su, a United States Government analyst said yesterday. Speaking from Washington, Raphael Perl, a senior policy analyst for terrorism, narcotics and crime, said he had no doubts that North Korea was involved in the drugs trade "big time". But he said a Supreme Court jury's verdict yesterday finding the four men not guilty of aiding and abetting the importation of 125 kilograms of heroin ? estimated by police to be worth up to $160 million ? had to be respected. After the verdicts were announced, Justice Murray Kellam said suppression orders preventing publication of cases, in which four men had pleaded guilty, had expired. Kiam Fah Teng, 47, and Yau Kim Lam, 34, both members of a shore party that met the heroin importer, Ta Song Wong, pleaded guilty to aiding and abetting the importation. Teng was jailed for 22 years, with a 15-year minimum, and Lam for 23 years, with a 16-year non-parole period. Wong, who brought the drugs from the Pong Su with an unnamed man, who drowned, is yet to be sentenced. Another member of the shore party, Wee Quay Tan, is also awaiting sentencing. In his opening address at the seven-month trial, prosecutor John Champion, SC, said it was not part of the case against the four crew that the North Korean Government or any of its agencies instigated or sponsored the drug drop. But US Government reports ? the most recent of which was published last week ? have speculated that the importation at Boggaley Creek, near Lorne, on the night of April 15, 2003, was part of North Korean drugs trade activity. 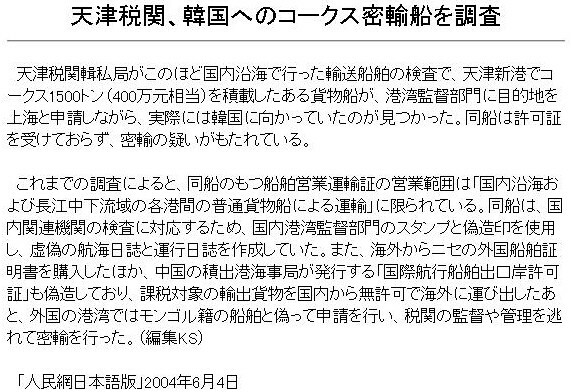 The US State Department, in an international narcotics control strategy report dated March 2006, said the Pong Su incident drew worldwide attention to the possibility of North Korean Government trading in drugs. In a report to the US Congress in March 2005, Mr Perl said that the case arguably showed how North Korean drug traffickers had joined forces with criminal gangs from neighbouring countries. Dong Song Choi, 61, described in court as the ship's political secretary, Man Sun Song, 65, the ship's captain, Man Jin Ri, 51, the first officer, and Ju Chon Ri, 51, chief engineer, pleaded not guilty to aiding and abetting the importation of a commercial quantity of heroin. They denied any involvement in the importation or knowledge of it. For the first time in the country, an incident of diesel smuggling came to light when the Indian Coast Guard apprehended a foreign oil tanker engaged in illegal selling of diesel off Mumbai coast. The 62-metre long vessel A1-Rehmat, which sailed out from Umm-a1-Quwain, United Arab Emirates with 890 metric tons of diesel, was bound for Colombo, but it never reached the destination and stayed outside Mumbai anchorage for about 20 days. During this period, the vessel transferred about 460 metric tons of diesel to a barge Rajveer. Thereafter, the vessel left Mumbai anchorage for another mid-sea transfer off Gujarat coast. An extensive search was launched by the Coast Guard ship Veera, which was on patrol duty off Gujarat coast. Despite rough sea and poor visibility in the area due to inclement weather, CGS Veera finally intercepted the vessel about 62 nautical miles south west of Porbandar. The ship's boarding party carried out initial investigation and observed certain irregularities and suspected the vessel to be involved in some nefarious activities. Accordingly, the vessel was brought to Porbandar Harbour for detailed investigation by Coast Guard and Customs. 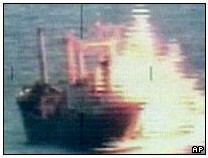 The oil tanker, Al-Rehmat, possessed a Honduras registration. 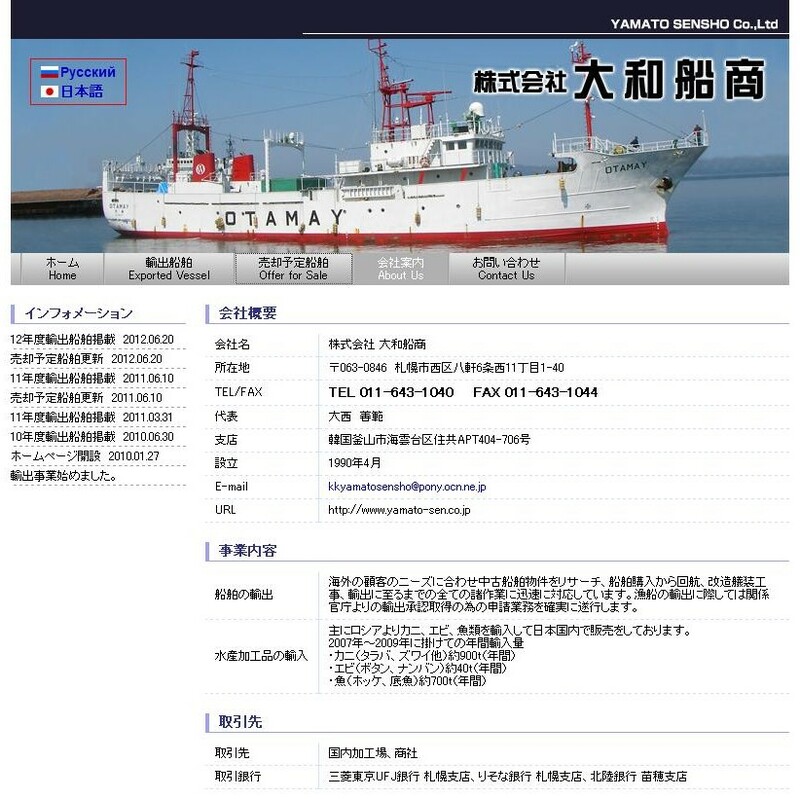 On enquiry, Honduras Shipping Registry confirmed that the vessel is not registered in Honduras. On further investigation, the Panamian certificates of the Master and Engineer were also found to be fake. 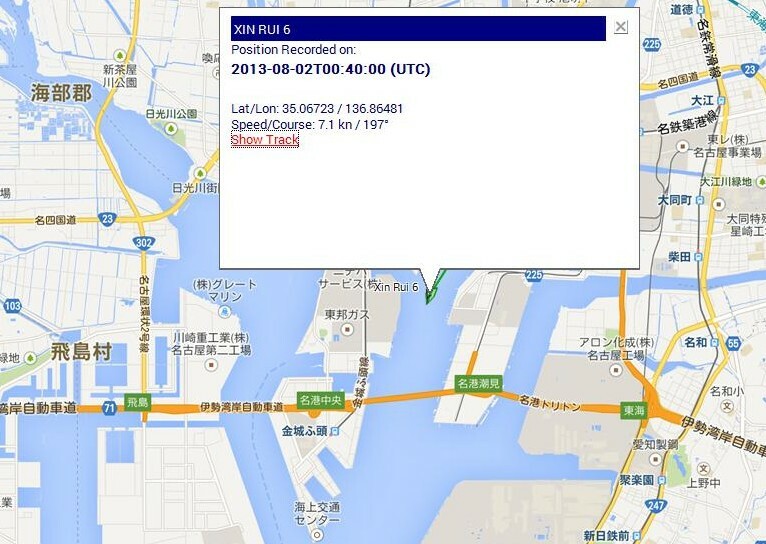 Not only this, the bill of lading and bill of export carried by the vessel were also not genuine. Out of eleven crew present onboard, 10 were Indians and one Nepali. 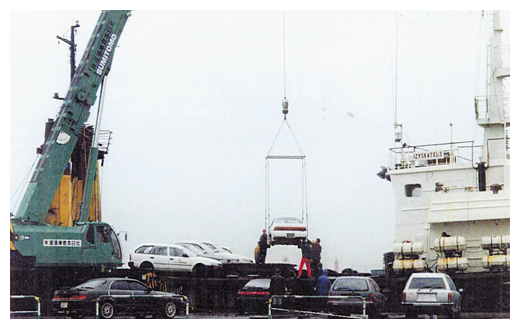 After grilling the crew, it was found that the diesel brought from Gulf countries was sold at a cheap rate on the Indian coast evading customs and excise duties. 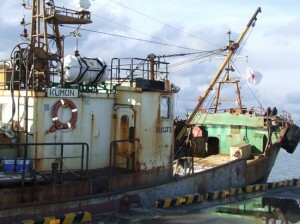 The vessel whose earlier name was MT Rakhmat was more than 30 years old. As per Merchant Shipping Act, vessels of more than 30 years in age are not permitted to operate on Indian ports due to safety reasons. 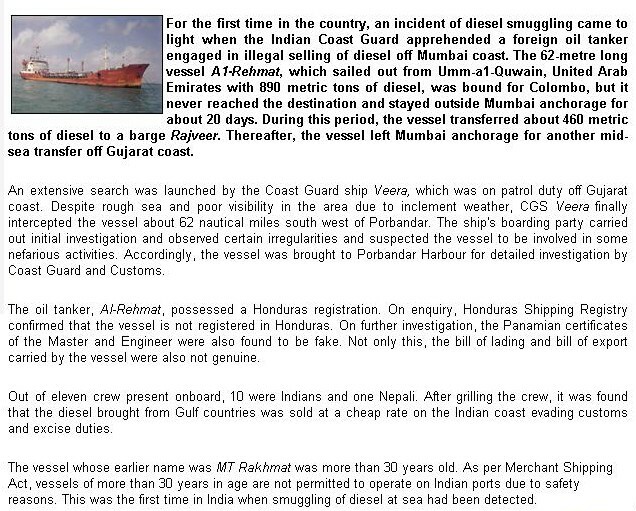 This was the first time in India when smuggling of diesel at sea had been detected. (SINGAPORE) In a move that defies not merely the nay-sayers but perhaps the imagination as well, land-locked Mongolia has become the latest international maritime player with the start-up of its own shipping register. The Mongolia Ship Registry Pte Ltd, which was registered in Singapore just over a year ago, became operational last week with half a dozen vessels registered and 20 applications pending, according to its deputy registrar, Capt Johnathan Foong. The company is targetting between half to one million gross tonnes of ships under flag by the year-end, although Capt Foong says it is emphasising quality over quantity. 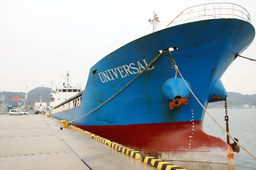 When asked why such a substantially land-locked country like Mongolia would want to venture into the world of international shipping, Capt Foong said: 'It doesn't matter (that the country is land-locked), because it is given the right by the United Nations to fly the Mongolia flag and transit international waters, so why not Mongolia? 'And now with a democratic process and capitalism in Mongolia this is one way of encouraging foreign exchange earnings,' he added. But when probed as to whether the Mongolian registry was set to sail the dubious flags of convenience waters reviled by many for their notorious harbouring of substandard vessels and shady business operations, he was unequivocal. 'We are not a fly-by-night company or flag of convenience which are all out to make money,' he said. 'We are a very strict regime because this ship registry is run directly by the government. 'We assess all ships before admitting them into the registry because we are very fussy on the kinds of ships we allow in. 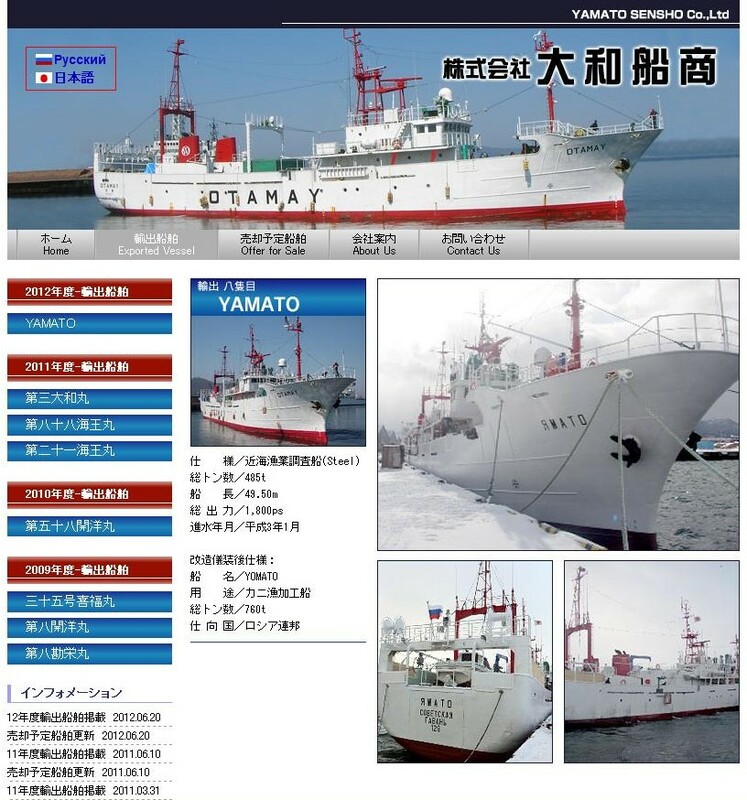 We check the background of the ships, their condition, age, past survey records, port detention rates and also the owner is very important because we don't want any terrorist or drug smuggler,' Capt Foong said. He also noted the company has agreements with major classification societies like the American Bureau of Shipping, Bureau Veritas, Germanischer Lloyd, Det Norske Veritas and Lloyd's Register of Shipping, among others, to survey and issue statutory certificates to Mongolian flagged vessels. The registry's existence came to light when an e-mail was sent to clients of the now disgraced Cambodian registry after the Cambodian government announced it was cancelling the contract of the Singapore-based Cambodian Shipping Corporation (CSC) Pte Ltd. This move came about after the Cambodian-flagged cargo ship Winner was seized by the French Navy last year for alleged cocaine smuggling. While Capt Foong says there is no direct connection between the Cambodian and Mongolian registers, he said he had done some consultancy work for the Cambodian registry prior to joining Mongolia, but insisted the two registries are independent of each other. While he said the company is a joint venture between the Mongolian government and an unspecified Singapore businessman, Registry of Companies data shows no Mongolian directors or officers in the company.